With Office42 it’s easy to create and manage a searchable employee directory, whether you have only ten or ten thousand employees. Besides the alphabetical index and search box, you can find any employee by experience, interest or by simply browsing through dynamic company structure. Numerous search filters (by position, branch or department, for example) and an employee phone directory are specifically designed for companies with large workforces. The employee search feature of Office42 works even with partial name input thanks to the autosuggest, which also helps locate employees with hard to spell names. You can send your co-workers instant messages, invite them for a group chat, start vide chat or video conference with them or make a voice call. 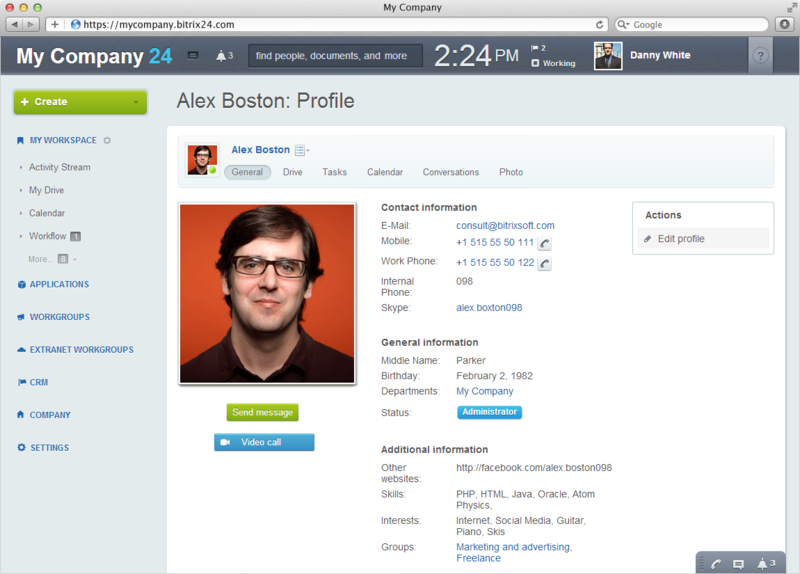 The Office42 employee search will also show you if the given employee is online or not. 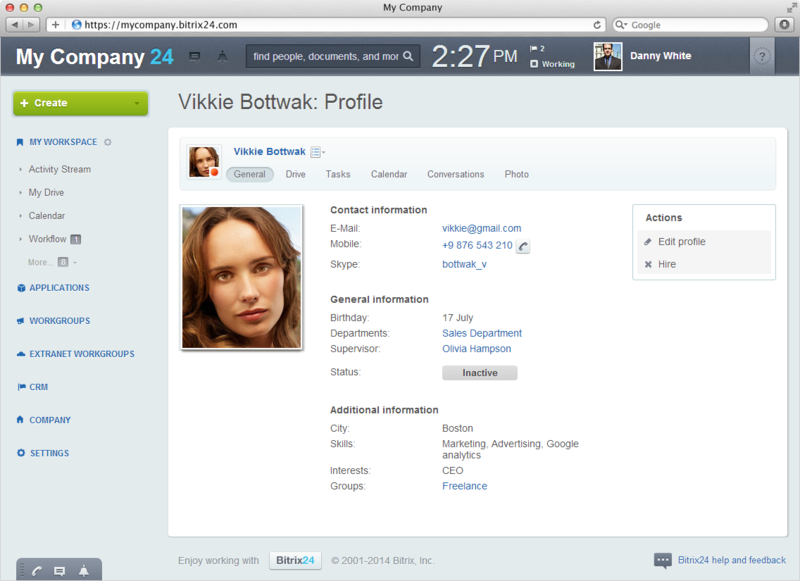 The customizable employee profiles are at the heart of Office42 employee directory search engine. The best thing is that employees can fill in their own profiles, saving your HR department countless hours of unnecessary work. An employee profile usually contains name, position, email address, phone number, social network profiles, Skype ID and more additional information, which makes the profile easy to find by searching. The profile also contains the employee’s calendar displaying scheduled activities for the day, week or month (subject to visibility and permission settings), so after locating an employee, you can confirm availability. 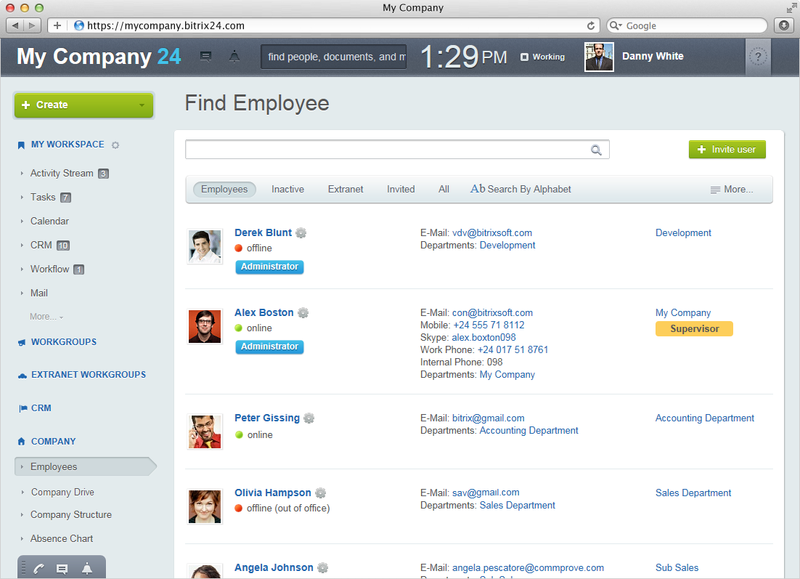 Besides the profiles of current employees, the Office42 employee directory also maintains an archive who have worked for your company in the past, along with their contact information. Extranet workers (freelancers, for example) are also conveniently listed in the employee directory, and it’s possible to include temporary workers, part-time employees, contractors, consultants and interns in your employee directory, giving these categories of workers restricted rights. The staff changes page shows all the changes that have occurred to the staff of the company. Whenever you hire, transfer, promote or dismiss an employee, this information will show up here. 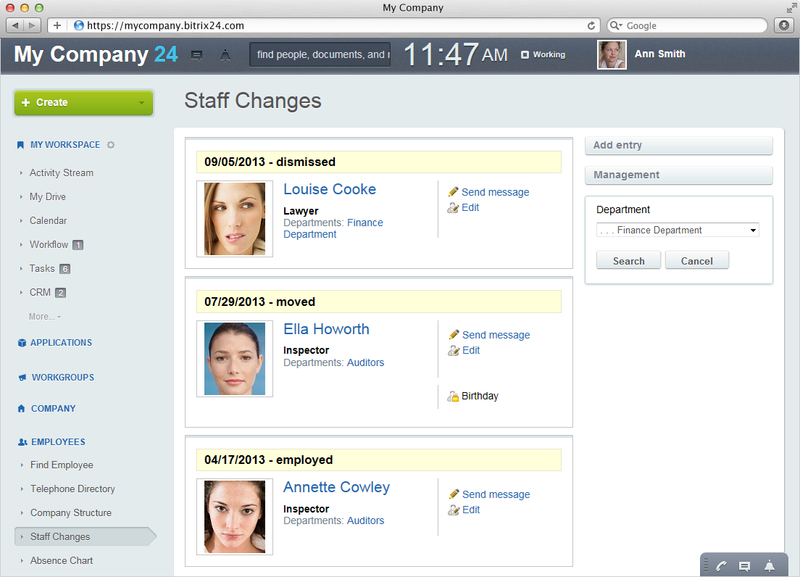 The Employee Timeline can be viewed for the entire organization or specific departments. Access to viewing Staff Changes can be modified as needed. If you want to add thousands of new employees, you won’t have to do it manually, as Office42 supports Active Directory/LDAP/NTLM integrations, so you can import employee information easily. Synchronization with Active Directory also helps keep your company structure up-to-date, because hiring or dismissing a person from Active Directory is immediately reflected in Office42 employee directory, along with user group and department changes. 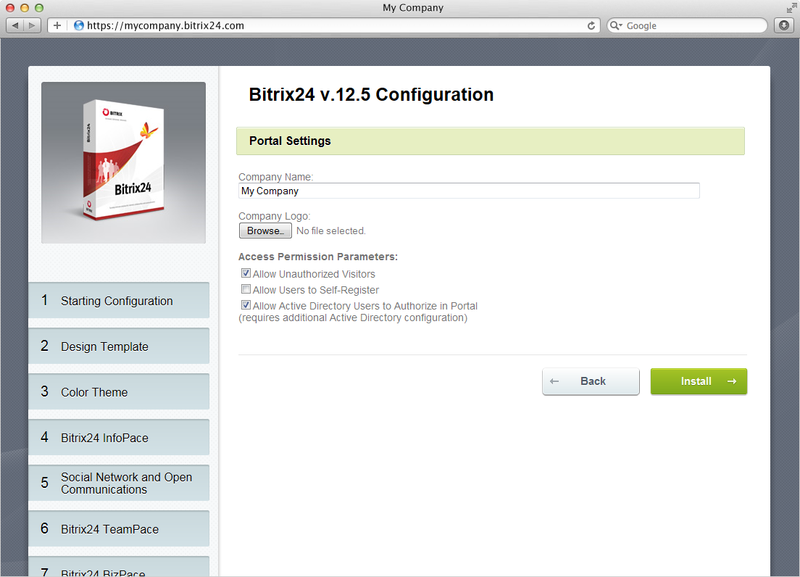 In addition to that, Single Sign-On with AD/LDAP can be set up, authorizing users automatically from within the local environment.